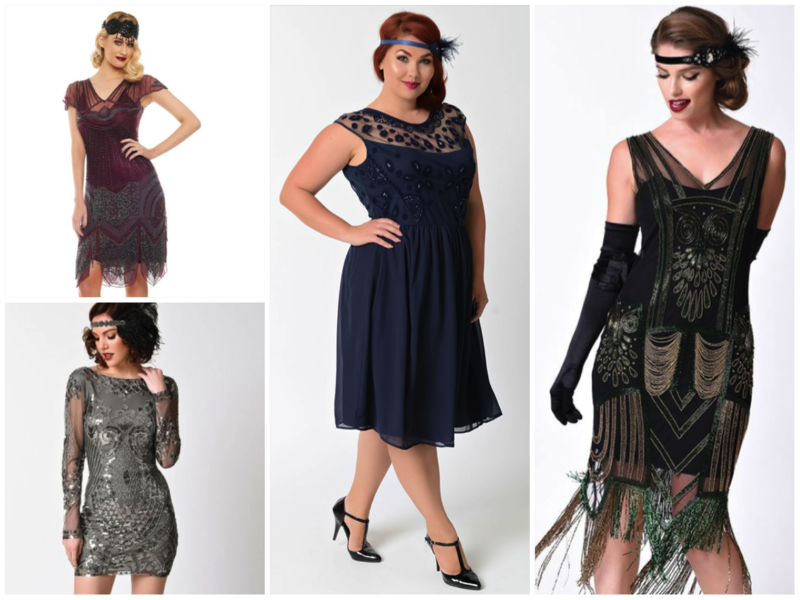 Get ready for the upcoming exclusive Gatsby Lates party night with our top tips for creating a 1920s look. While you don’t have to wear period clothes to have a great time at the party, it’s always fun to get into costume and you don’t have to break the bank to do it. If you don’t already have a 1920s outfit ready to go (we’d be surprised and jealous if you did), visiting your local charity shop is a great place to find things that would fit the bill or a vintage shop if you can. Costume jewellery can take the place of expensive pieces and costume shops will often have a selection of 1920s inspired looks. If you’re wondering how to put together an outfit that would make Daisy or Jay jealous, or how to give an existing outfit a 1920s fashion flair, check out our top tips. There are a few key 1920s accessories that can add an authentic flair to any outfit. The right hat (newsboy, hamburg, fedora or boater) can turn any suit into a real period piece and a cane, cigarette holder or vintage pocket square can really finish a look. A string of pearls is perfect when paired with a dress and a traditional fan can always add a touch of drama. A jewelled headband or a large flower can make for a great statement on long hair and feathers can make for a softer, more elegant look. For the partygoer with short, back and sides hair, give yourself a parting and add some product to keep it sleek. 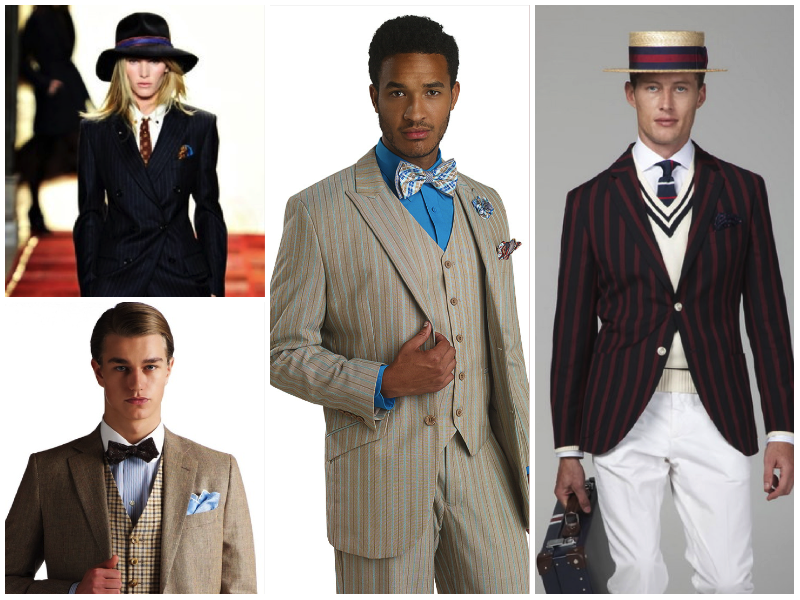 A key 1920s look for anyone wishing to be a real dapper dan is a three-piece suit, complete with a colourful pocket square. Take the look even further with a bright shirt or a patterned bow tie – 20s fashion was all about the daring, so you can be a bit bolder. Stripes and checkered patterns are also a classic look of the age, so don’t shy away from them if you’re used a monochromatic suit. The key to a 1920s dress is embellishments – look for outfits featuring lots of fringe, sequins, beading or one that’s bejewelled. Elbow-length gloves add drama and a headband featuring a jewel, flower or feather will definitely be the key to this period look. It might be a touch warm right now, but fake fur wraps and fur collared coats are also bang on trend for the fashionable 20s girl. When trying to find the perfect pair of shoes to complete your outfit, look for ankle strap and T-bar shoes – they were a staple of 1920s outfits and as a bonus, they don’t usually have the highest heels so it’s that much easier to dance the night away. 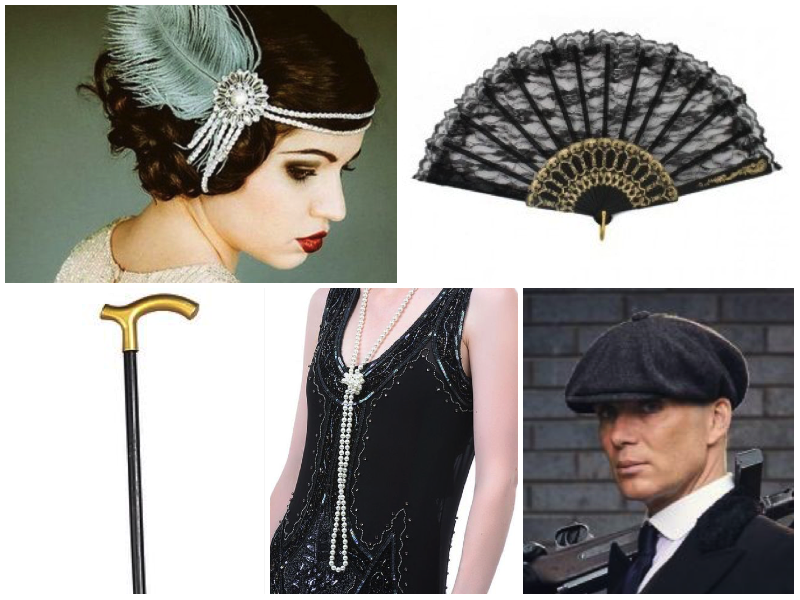 With these fashion pointers, we can’t wait to see what you’ll be wearing this weekend at our Gatsby Lates party! Want more? Where Do I Know Them From? The Cast Of Labour Of Love.